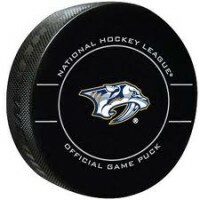 Nashville, Tn — The Nashville Predators saw their season come to an end tonight with a game seven loss to the Winnipeg Jets, 5-1. Nashville goalie Pekka Rinne was pulled after the Predators found themselves down, 2-0. He made five saves before his exit. Juuse Saros replaced him in net and had 14 saves on the night. Nothing was working for Nashville tonight, even though they had a fired up. sold out Bridgestone Arena crowd on hand, they just couldn’t score. Connor Hellebuyck made 36 saves in net for the Jets. Winnipeg’s Paul Stastny had two goals as well as Mark Scheifele who had two goals on the night. P.K Subban scored the only goal for the Predators. 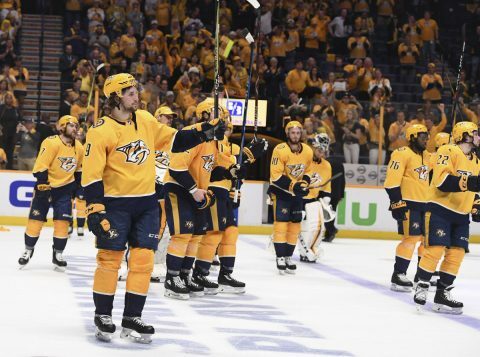 Nashville saw it’s President’s Trophy season end abruptly to an upstart Winnipeg Jets team that had the second best record in the league, behind Nashville. Nashville coach Peter Laviolette said in his post game interview that the home ice advantage just didn’t exist for either team. He said what it boiled down to was the two teams on the ice, playing the game. Nashville will now sit back and see how the offseason pans out and who will or who won’t be back for this Predators team next season. Season tickets for next year are all sold out and a waiting list has been generated for those wishing to purchase tickets for next year. Winnipeg now moves on to face the Vegas Golden Knights for the Western Conference title, while the Tampa Bay Lightning will play the Washington Capitals for the Eastern Conference title. Former Predators coach Barry Trotz coaches the Capitals. The conference finals begin Friday night.